It's a good time for the Internet of Things. And when the bells are ringing in the consumer sector, its numerous applications in the Industrial sector start to be widespread. It’s time to work on the development of Industrial IoT. The Industrial IoT, which is behind the concept of Industry 4.0, opens a new field of possibilities. We are no longer talking about more or less common connected devices operating at the user’s service, but about an industrial connectivity system that connects all the elements of the sector: machines, people, buildings, etc. creating a totally new framework. A system in which different connected devices allow sending data to the cloud in bulk and return them in turn to other devices. Thus, these last can be able to use this information, based on Big Data and Machine Learning to generate value and operate more efficiently. And for that reason, it can be called the "IIoT ecosystem". And if we look, not so much in the IIoT technology, but in the applications that allow or deliver such technology, we can find many reasons why it is a good time to enter the IIoT market and be disruptive in our businesses. IIoT is a growing market that will surpass $176 billion in 2022 according to Market Research Engine and that will contribute to the global economy $14.2 trillion in 2030 according to Accenture. The Industrial IoT market is collaborative. For the IIoT ecosystem to function properly, it is necessary that the devices that collect data can communicate with other devices. For this reason, and in order to survive in the market, your company needs to enter this system. With IIoT, your business will be sustainable. 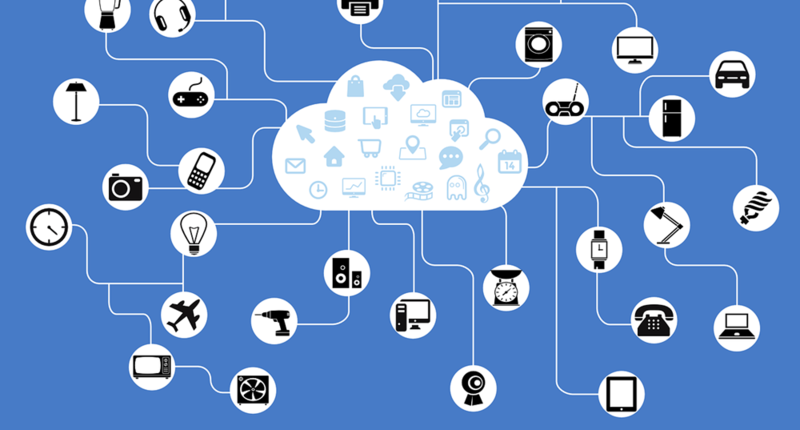 IoT has positioned itself as a great ally to compete better in the market. Through informed decision-making based on real business data, companies will improve their activity so that it is sustainable over time. The Industrial IoT is an investment for the long term. Industrial IoT helps generate value for businesses. As companies obtain real-time data, they can have more information on the processes of their industrial organization in order to improve them. The IIoT is the technology that allows industrial organizations to be more competitive, profitable and sustainable. IIoT allows generating efficiencies and improving operations. By having more information, more reliable and more secure, companies can improve each of their processes and reduce the consumption of their resources. The improvement of the customer experience is in the hands of the Industrial Internet. Precisely because both IoT and IIoT deal with data, it is possible for organizations to know their clients better on the one hand, and on the other, by making good use of this information, to improve processes to better serve them. . Processes such as logistics or continuous improvement are key to make the customer experience better. Reactive maintenance becomes predictive. For many years, we have been addressing problems in the machinery when they occur instead of preventing them, which has a huge impact in costs and efforts to repair the assets. What if we could predict these problems based on historical data? We would ensure a better allocation of resources and a reduction of the costs related to the non-planning of maintenance. With IIoT, you can update, monitor and control remotely what happens in any of your facilities. With this, you will not only reduce the costs of doing it physically but also you will see your efforts reduced considerably. If you use quality software, you can avoid security failures and keep improving day by day. Thanks to Industrial IoT, you will guarantee quality. As we have already mentioned, the fact of collecting data helps you to improve your processes and to be more efficient. It also contributes to the improvement of the customer experience in all its aspects. And finally, it helps you establish intelligent maintenance systems. If you add all the data collected about the faults or defects that occur in your products or services, whether final or semi-manufactured, you can establish quality measures that allow you to better serve your customers. Despite these reasons, you might still be reluctant to enter the IIoT market because of the possible implications that it can have for privacy and security. Of course, it is essential that any IIoT solution or project you deploy is designed with security in its core. You have to make sure to count on technology providers that guarantee the security of the data and provides you with the necessary security layers (through OTAs, Blockchain, etc. ), to ensure the integrity of your business. In short, for a company to be sustainable in the long term and achieve increase its efficiency, relying on the Industrial IoT is the best choice. And with it, hand in hand, other technologies such as Artificial Intelligence or Machine Learning allow the company to digitize and innovate to survive in the market and compete better. About the author: Cristina Marcos is Marketing Manager at Barbara IoT. Barbara IoT is a company that develops secure technology for IoT device lifecycle management.